A while back… when I was in Medic school, our primary teacher Margo, used to have a saying about those of us in the EMS business. Margo would tell us that WE did not chose EMS as a career, but more that EMS had chosen US to work in the business. As time has gone by, I have often used that same phrase to my new EMT students, usurping Margo’s pitch, by telling them that they were chosen for this career path by the career itself. It does kinda Sound strange when I read it aloud! But this business is unlike any other business out there. We don’t sit at a desk and we really do not have a boss that looks over our shoulders to bug us all day. We don’t go home and have work to do until late in the evening and we don’t rush into work early in the morning to get reports done or get ready for a 9 o’clock meeting. That doesn’t mean we DON’T take our job home… We do! But what we take home at night are memories and visions of our day — of the patients and families we worked on and worked with. The bystanders and the looks on there faces, as well as the sounds and smells that accompany EMS personnel in our work…..daily. Is this all bad? Not at all! These smells are my life. These smells remind me of what we do for a living and tools we use to save lives and complete our tasks. I love the smell of an ambulance the same way teachers and students used to love the smell of freshly mimeographed paper in the classroom. Being an EMT or Medic is not for everyone. Many people do not like the smell of blood. Human bodies and their strange odors make them vomit or gag. They don’t like the sight of things sticking out of bodies that are not supposed to be sticking out of bodies. The thought of doing CPR covered in blood does NOT appeal to a great deal of earthlings. But for many of us, it does. It gets our hearts racing. They call us TRAUMA JUNKIES. We wear shirts that say things like “ Keep doing stupid things and I get to see you naked”. 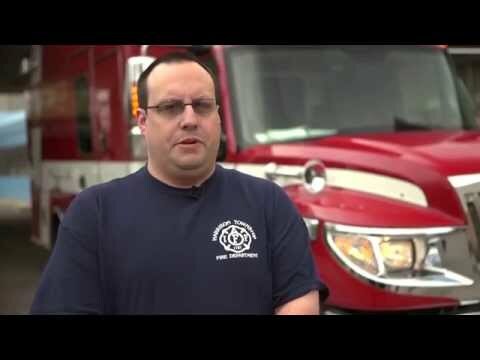 We WANT to be first on the scene of an amputation and desperately want to be the person that stops the bleeding, puts on the tourniquet and saves that patients life. We dream of these events while we are posted in our ambulances behind the Taco bell, sitting in the cramped front seat, head against the window and feet up on the dash, the whole while stealing the taco bell wifi and watching Parks and Recreation on Netflix. This may not sound like fun to a lot of you out there, but if it does, You are either already an EMT, wish you were one or crazy. And I can not emphasis the CRAZY enough! And just remember, no matter how old you are, Its never to late to join our ranks. You just have to be a little…….CRAZY! 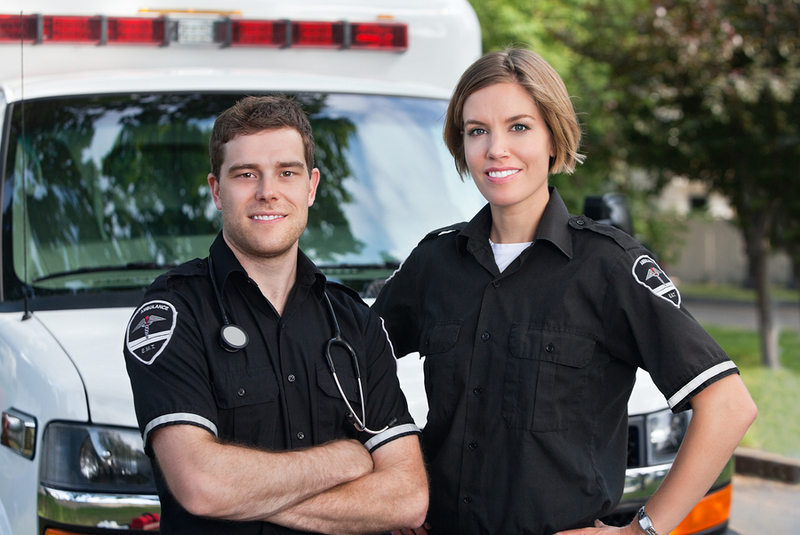 Do you have what it takes to be an EMS first responder?